One thing we missed eating low carb was pizza. Real pizza. 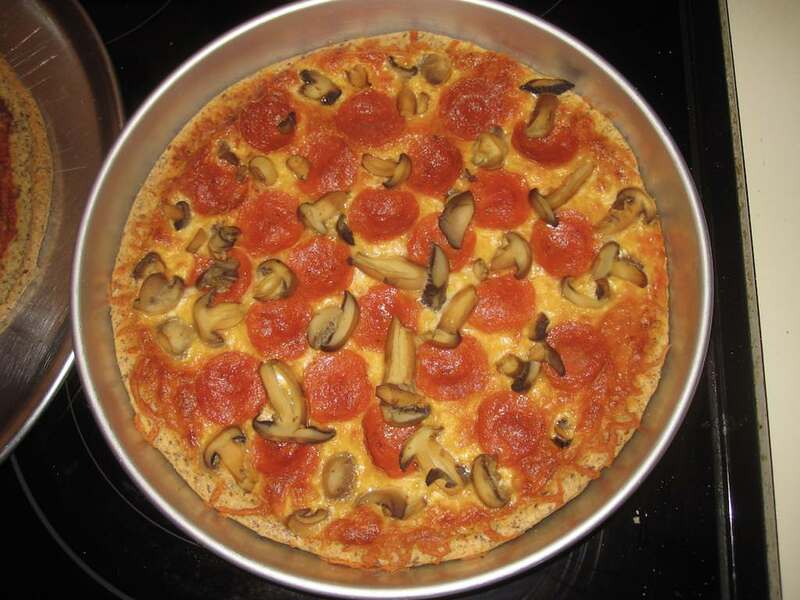 We tried the staple low carb pizza recipe, but it was too cheesy for our taste. 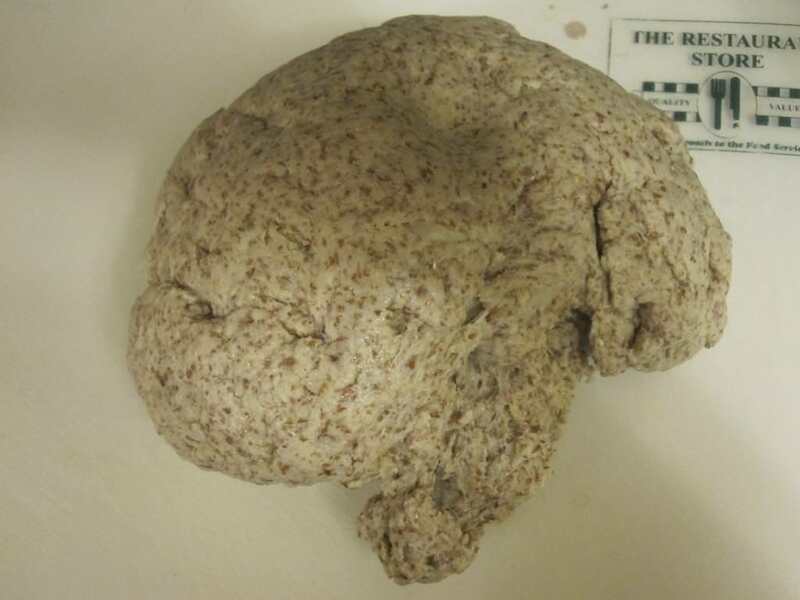 We missed the yeasty flavor of a traditional dough. 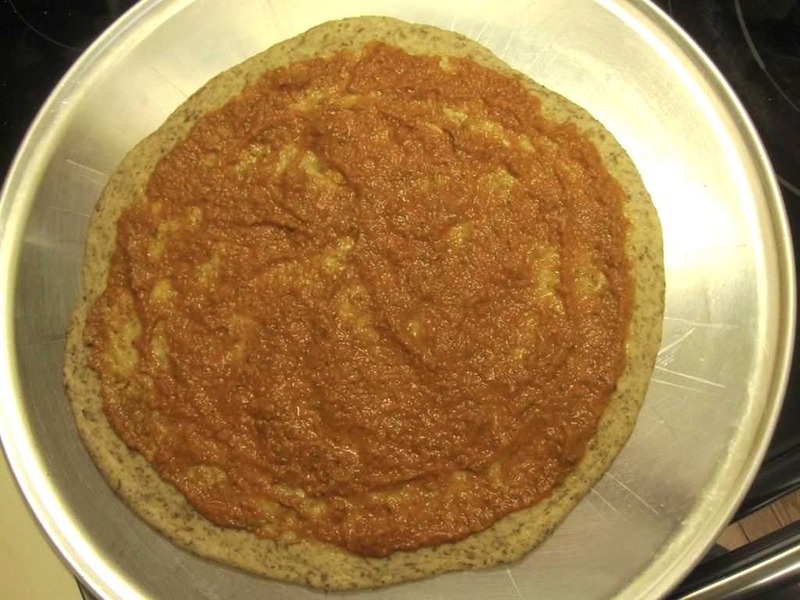 After much experimentation, Mina came up with a dough recipe that was both low carb and reminded us of “real” pizza. This is our end result. 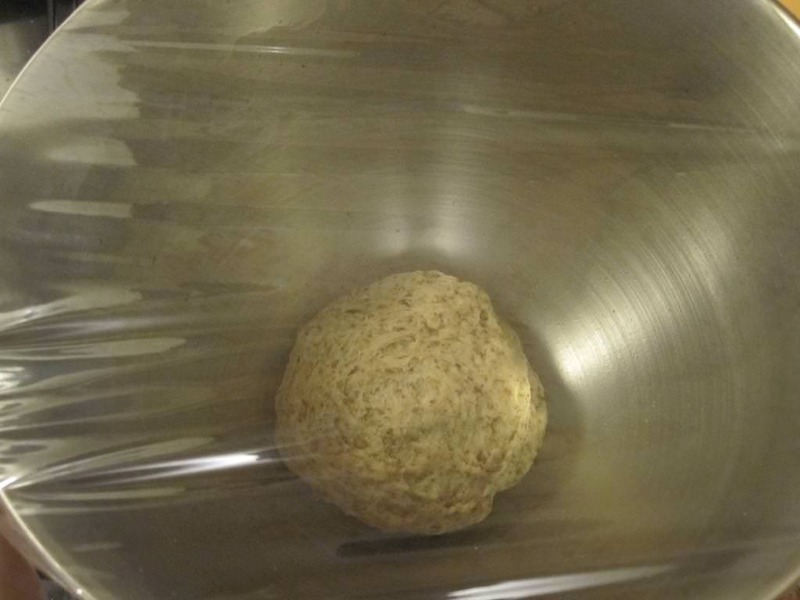 Pour the water into mixing bowl and add sugar and yeast. 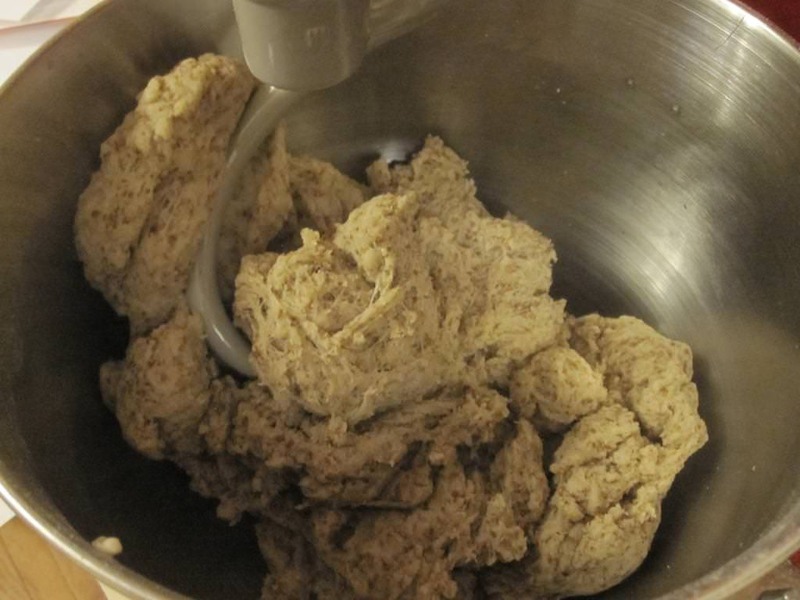 While the yeast proofs, melt butter and add the cider vinegar and liquid Splenda and set aside. 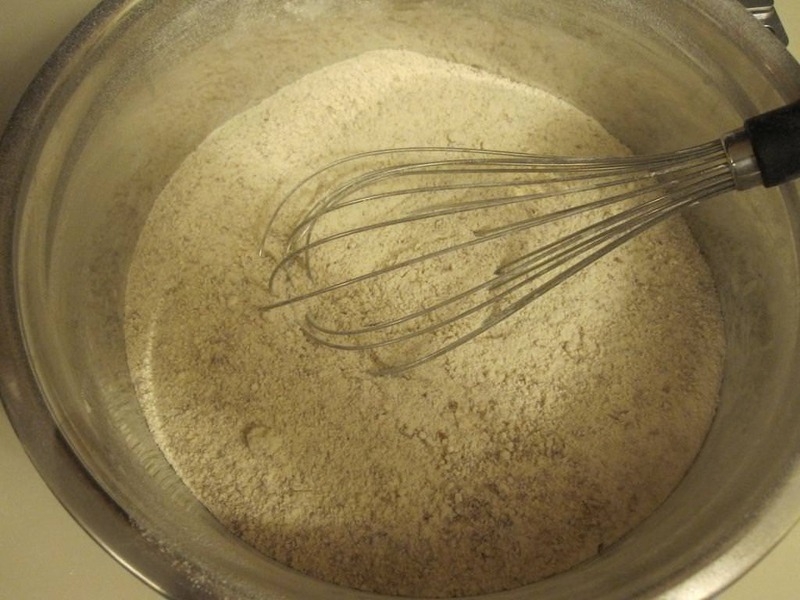 On a low mixing speed, add 2 cups of the flour mixture to the yeast and water. Combine well for 1 minute, then allow to rest for 10 minutes. 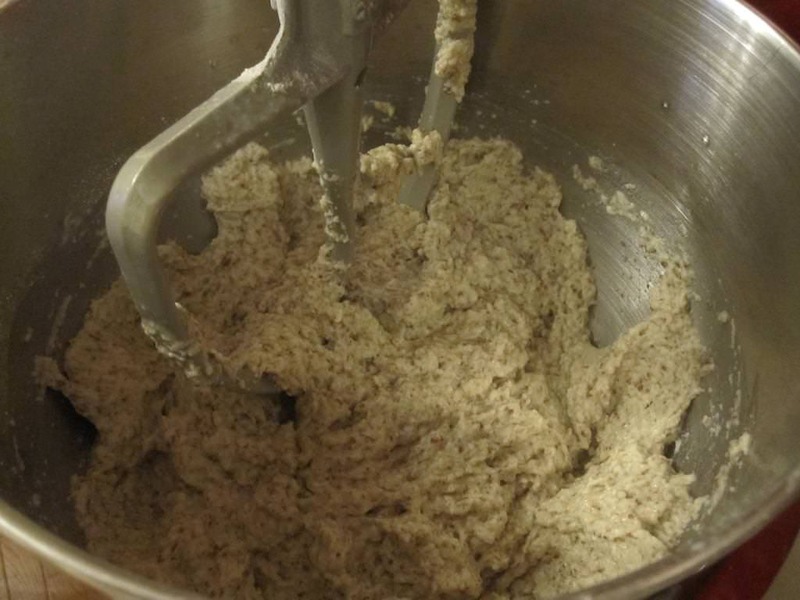 After resting, turn mixer on low and add the salt and baking powder. 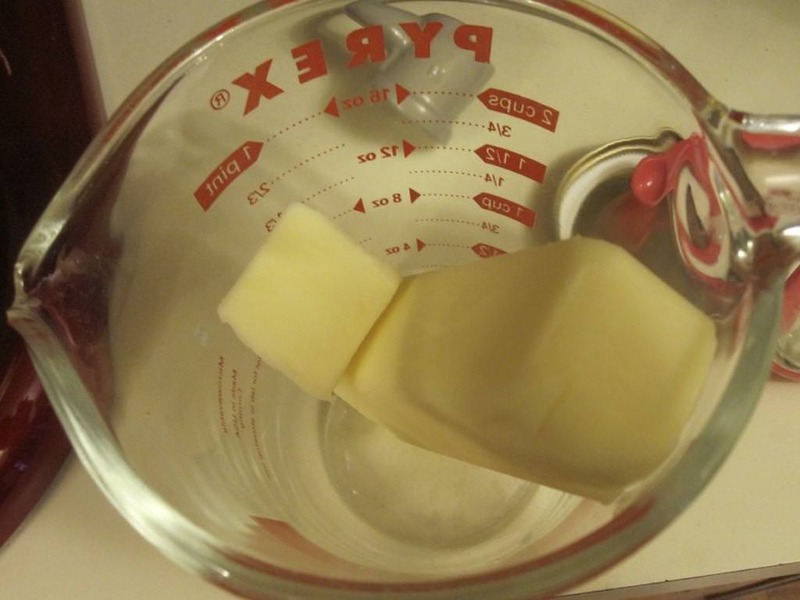 When they are thoroughly mixed in, add the butter and mix until well combined. 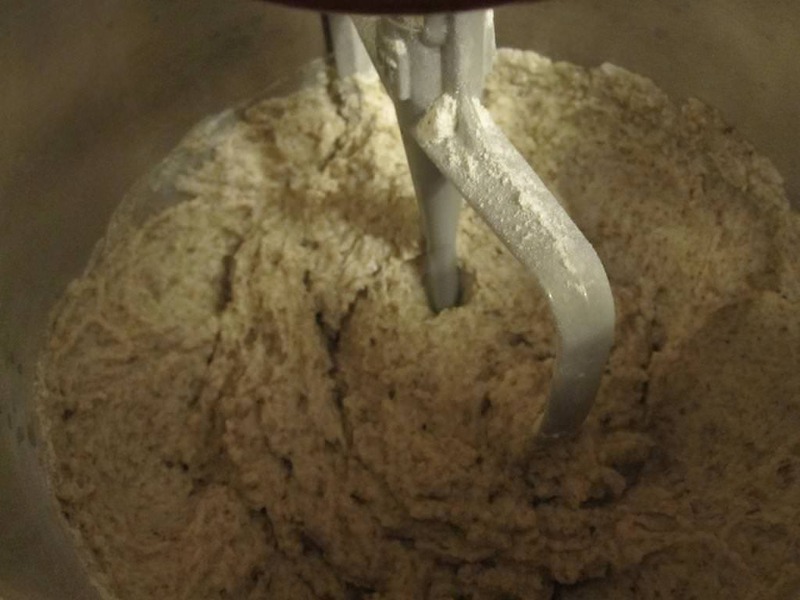 Switch the paddle mixer for the dough hook and gradually add the remaining flour on low speed. 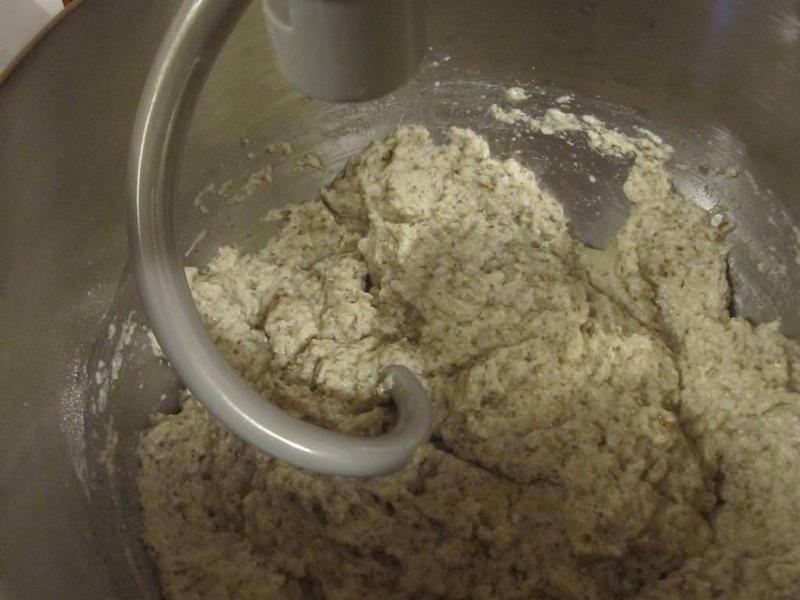 Once the flower is in, knead the dough for 10 minutes in the mixer on speed 2. 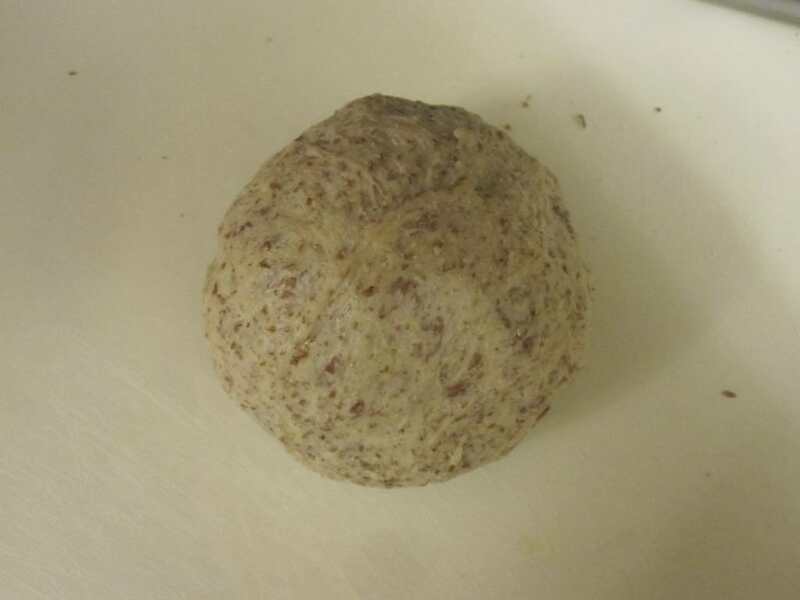 Divide in half and form into a ball. Put back into the bowl, cover with plastic wrap, and rise for 60 minutes, optionally in a proofing oven. Roll out the dough on a pizza pan, rise for another 60 minutes. You have a few options here. 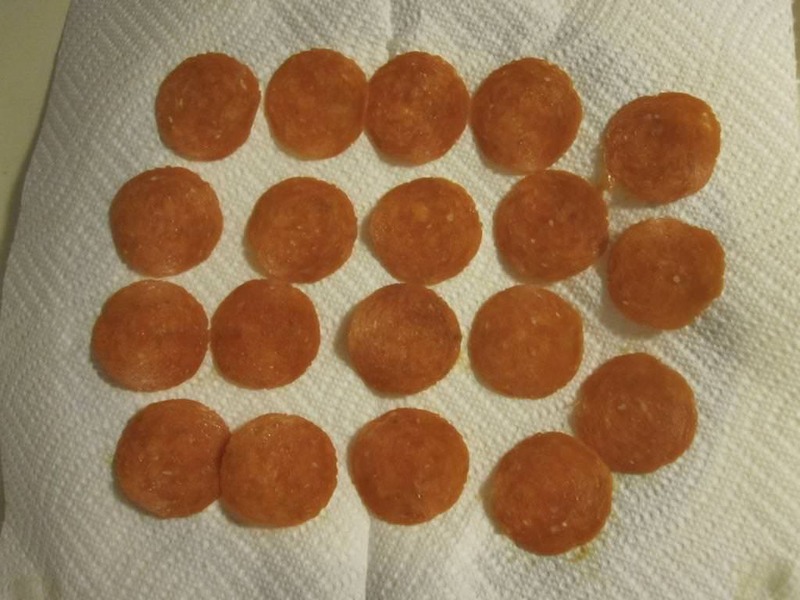 The Great Value pizza sauce from Walmart is fairly low in carbs (6g per half cup serving). Another option which we prefer is the Don Pepino pizza sauce, which is also 6g net carbs per half cup (8g total carbs, 2g fiber). 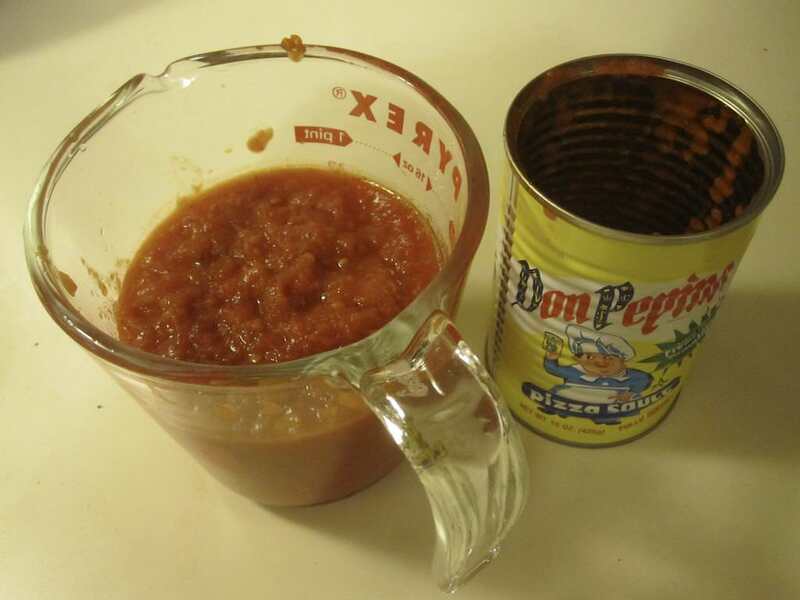 Most pizza sauces come in 15 oz cans, which gives you roughly four half cup servings. 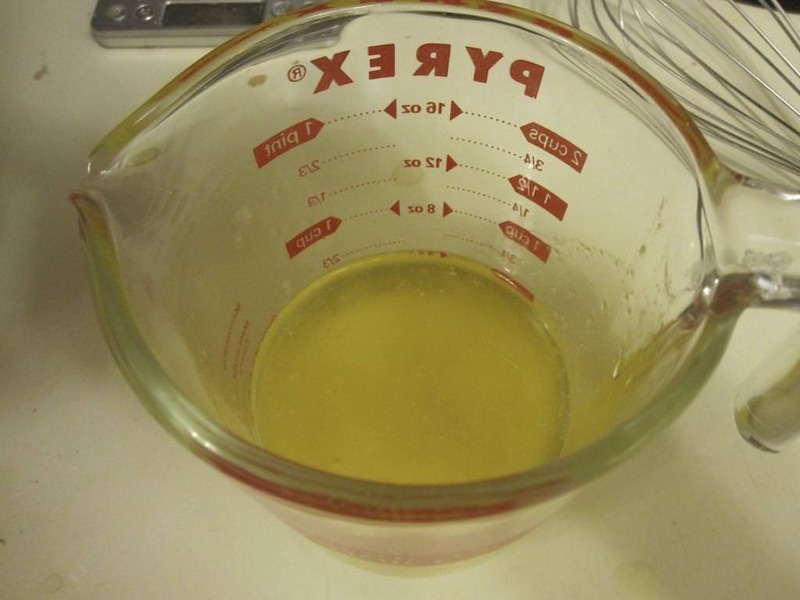 One option is to add ground fennel, we like 1 teaspoon per 15 oz can, but this can be adjusted to taste. If you want to sweeten your sauce, liquid Splenda (or your favorite sweetener) can be added, we use 3 drops of liquid Splenda per can. 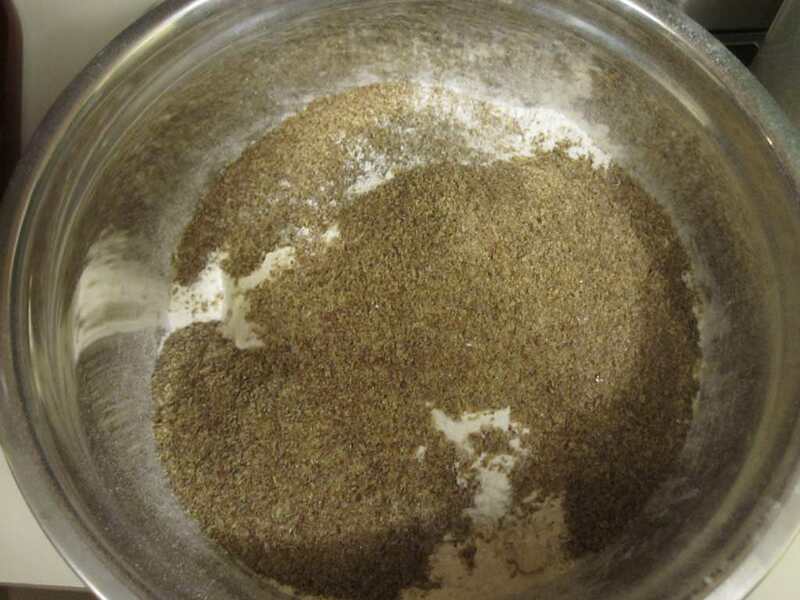 Other spices and herbs you may wish to consider are oregano, Italian herb mix, onion powder, and garlic powder. You may also want to add salt, we like ½ teaspoon per can. 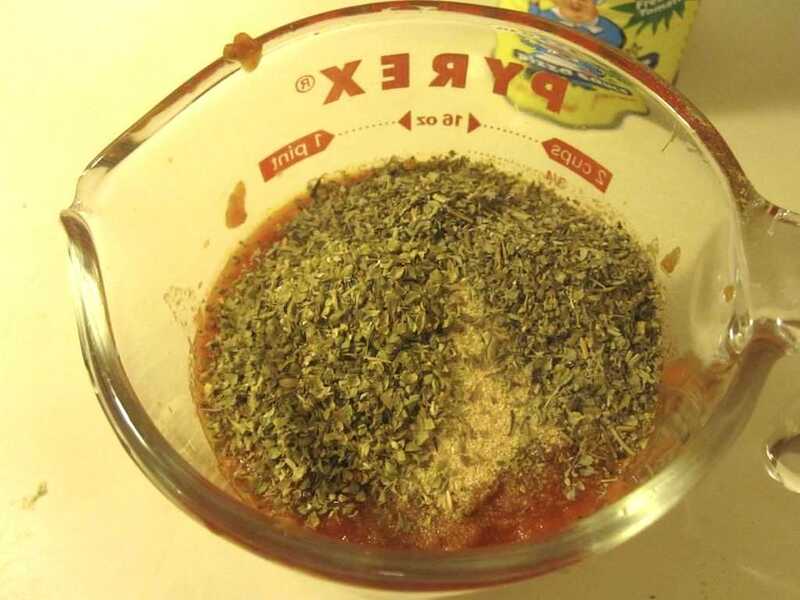 My sauce includes 1 tablespoon each of the oregano, Italian herb mix, and 1 teaspoon each of the onion and garlic powder. Plus the fennel and salt, and 2 tablespoons water to help thin the sauce. Next mix the ingredients, a stick blender creates a smooth sauce. 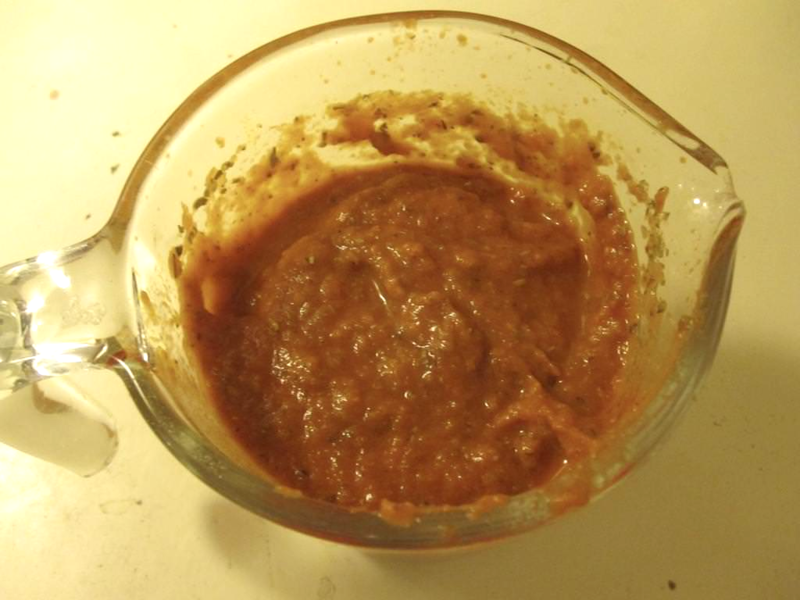 If you prefer a chunky sauce, mix with a spoon. 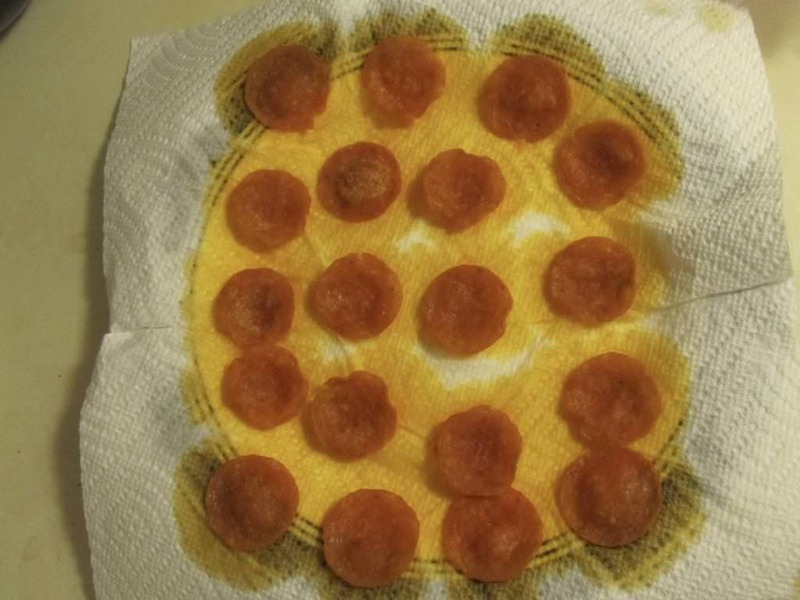 Sauce your pizza crust. Again, we use ½ cup of sauce. Add the cheese to your pizza. 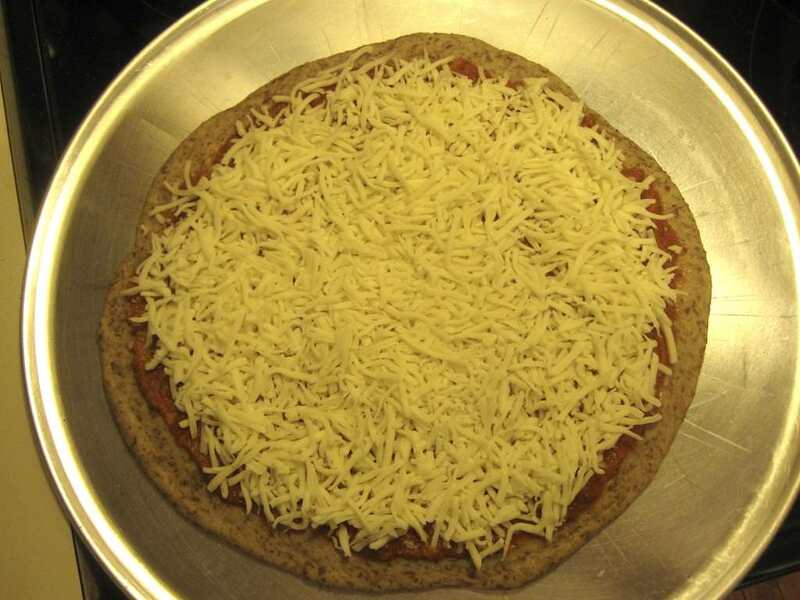 Many stores sell a pizza blend which is a mix of Mozzarella and white cheddar which we prefer. But, you can use any cheese you like. Some options include four cheese Mexican blend, or an Italian blend. Adding shredded Provolone to a cheese blend is another option. Both of these pizzas were made from the same batch of dough. Preheat your oven to 375F convection (fan if you’re British), or 350F standard. As with all baking, times vary considerably between ovens. 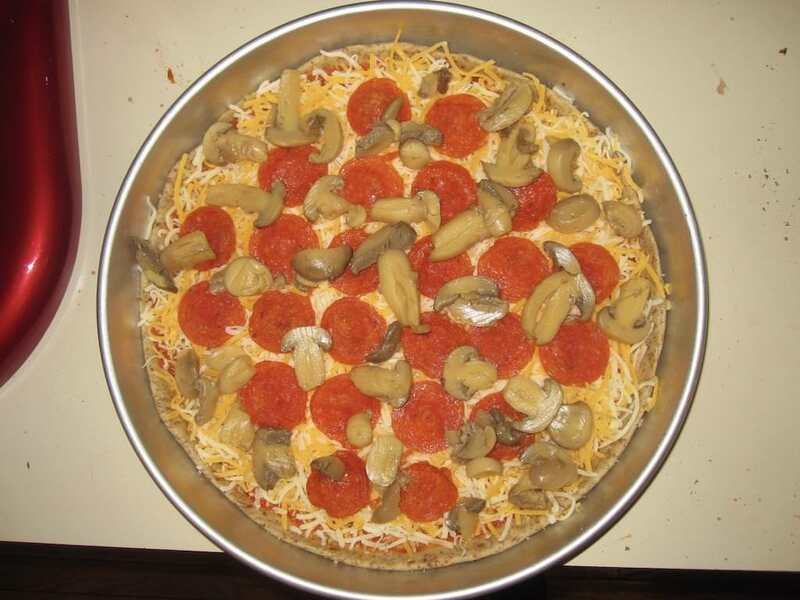 In our case the standard pizza took 24 minutes and the pan style 27 minutes. 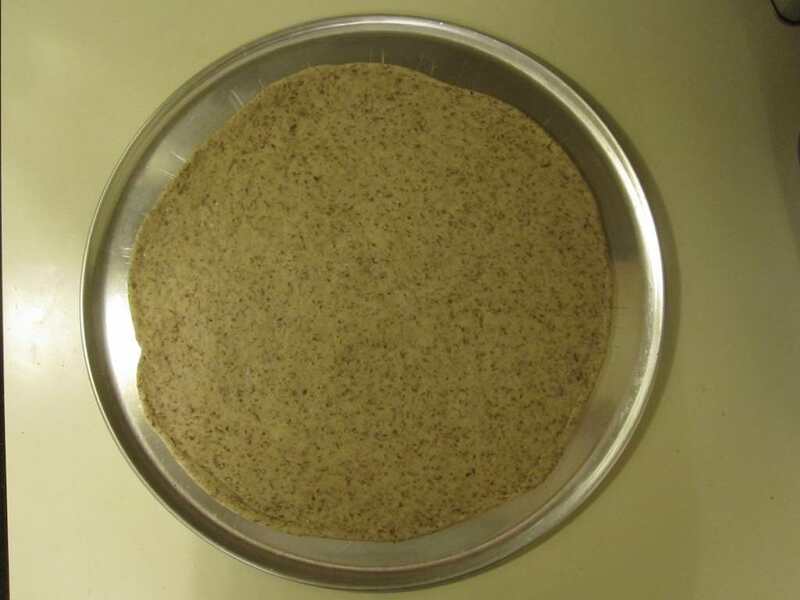 Using an online site to compute the nutritional profile of the dough recipe, it came up with 56g protein, 30g fat (12g saturated) and 32g carbohydrates (6g sugars and 10g fiber, or 22g net carbs) per pizza (just the dough). This does not take into account that the yeast are consuming most of the sugar. 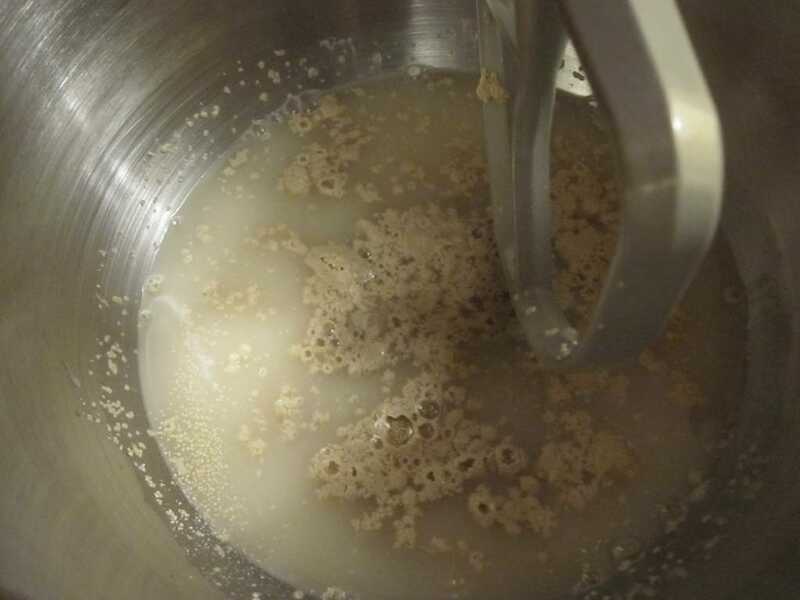 From our experiments, we found that the sugar was required to get a rise, which means the yeast is using the sugar. If you believe this, then you can subtract 6g from the net carbs per pizza, ending up with 16g per pizza (again, just the dough). 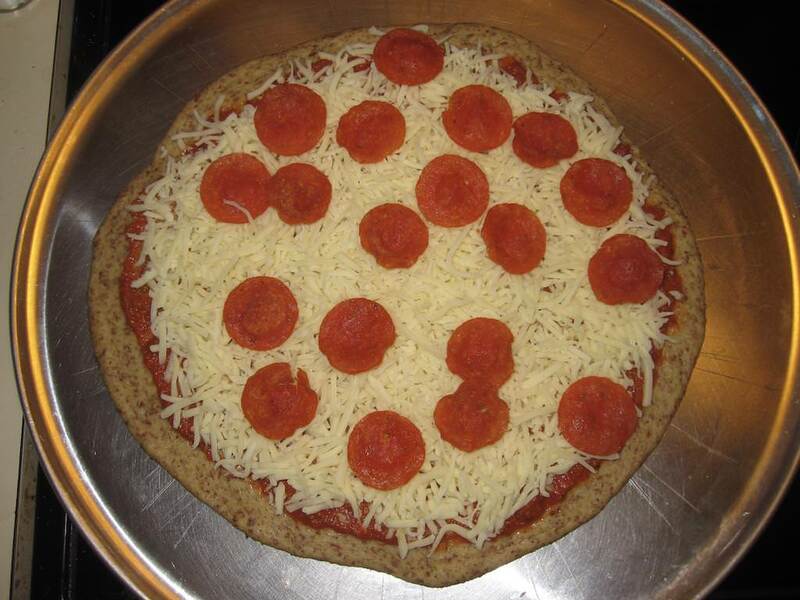 Of course, for most people, half a pizza is a serving, so that’s just 8g net carbs. 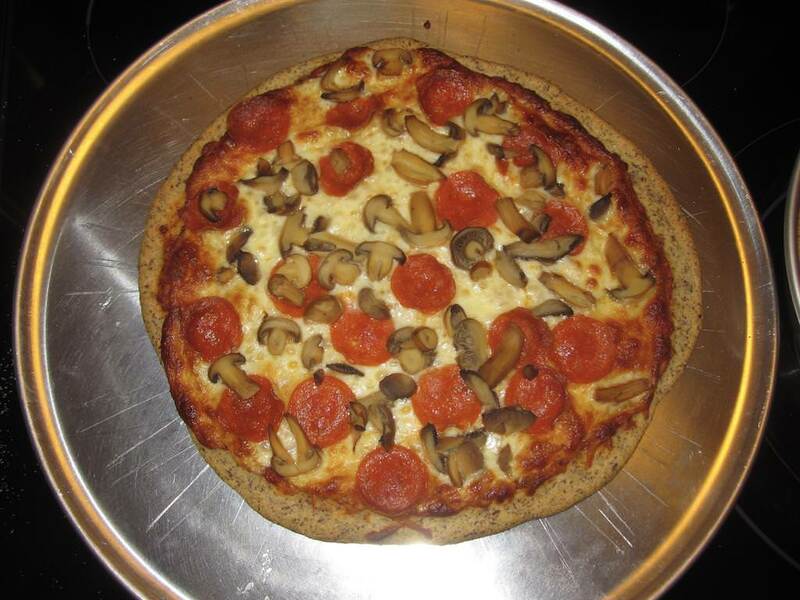 The sauce we used added 6g carbs per pizza or 3g per half pizza serving, and the cheese added 4g carbs for a total of 15g net carbs per serving. 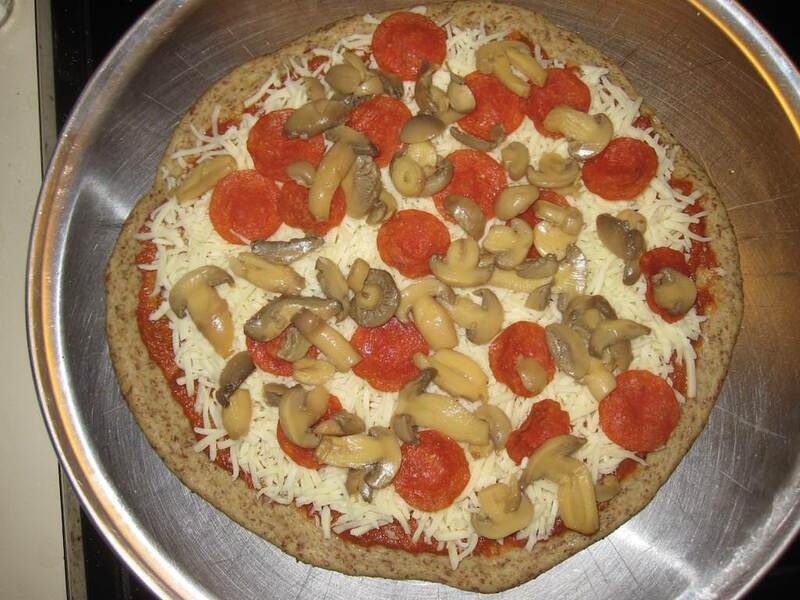 Your toppings may add some additional carbs (for example an entire small can of mushrooms is about 2g net carbs, or 1g per half pizza serving), but you still end up with with very few carbs relative to “real” pizza. For example, a slice of pizza from one of the national pizza chains has 25g carbs per slice. And you never eat just one slice. You could eat almost the entire low carb pizza, and end up with about the same carbs as one slice of “real” pizza. We’ve been doing low carb for many years (Chris since 2000, Mina since 2013) and have lost a combined 220 pounds. Through this process we’ve discovered ways to expand our diet past the traditional low carb staples of meat, vegetables, cheese, and more meat. As an avid baker, Mina wanted to create low carb versions of common baked goods that maintain the feel and structure of the traditional version.